Snapshot Station offer luxurious silk flower walls for hire, that are all handcrafted & Designed to suit your event. Add on a flower wall to any package or hire on their own. snapshot Station offer the most affordable flower walls in Auckland region. 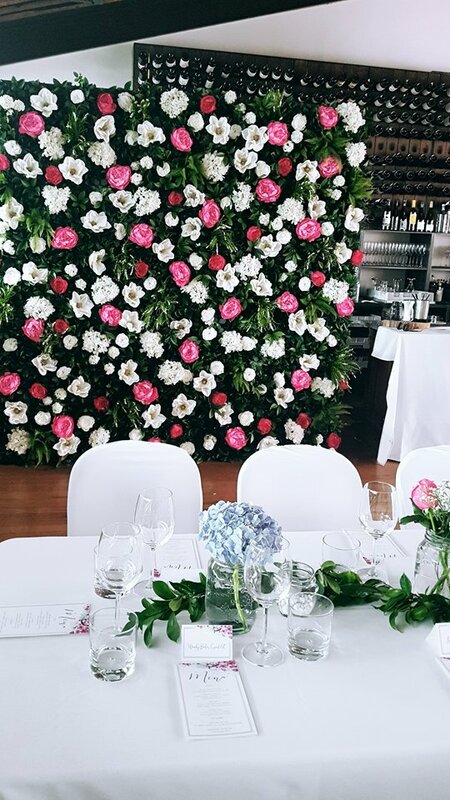 Our flower walls are perfect for a photo backdrop. Customise one of our flower walls with custom made signage. Add your favourite quote, word or corporate logo. Our graphic designer will design your custom signage and we will have it printed for you. The signage will make a statement on your luxury flower wall.